James Patrick “Pat” Campbell, son of Walter “Hobo”and Lorena “Noona” Mouton Campbell, was born July 21, 1945, in Abbeville, Louisiana. He was raised on a rice farm in Henry and later moved near the Bancker Ferry in Bancker. 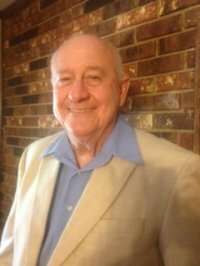 He graduated from Henry High School in 1963, then received his Bachelors Degree, Masters Degree, and 30-plus graduate hours above a Masters from USL (now University of Louisiana at Lafayette). Campbell began his teaching career in 1967 teaching math for 15 years at Delcambre High School. In 1982 Pat became principal of Delcambre Elementary and stayed in that position for 18 years. After 33 years in the Louisiana school system, he worked for two years as a school counselor and middle school principal in Fouke, Arkansas. He returned to south Louisiana and worked as a counselor for five more years at Center Street Elementary School in New Iberia. After working in education for 40 years, he retired. While growing up in Prairie Greig, Campbell learned and spoke the French language fluently and developed a love of French music. While in high school, Campbell bought his first accordion and harmonica and taught himself to play both instruments. His love for the French culture was intensified when he visited Nova Scotia, Canada, and spoke to relatives in Cajun French. His hobbies include, going to the “Cajun Hi Rise,” his second home adjacent to Rockefeller Refuge, to fish, crab, and cast net for shrimp. He also enjoys cooking, playing his accordion, harmonica, and singing for family, friends, and various organizations and fund raisers such as Auburn University School of Education, W.T. Cooke Elementary in Virginia Beach, VA, and Leukemia and Lymphoma Society. Pat has translated words of over 150 French songs in his own special language so that he can play on both his accordion and harmonica. Playing French music with his two good friends, Natile Perrin d’Augereau and Helen Boudreaux is another activity Pat enjoys. Given the name Trio Cadien by Warren A. Perrin, “Pat, Nat, and Boo,” play and sing for groups such as: Young Lawyers Association, Louisiana Supreme Court justices, Acadian Museum functions, and many charity functions. Several times Campbell has joined D.L. Menard to play for Acadian Museum activities. Currently, Campbell is part owner of a commercial hunting lodge in Saskatchewan, Canada, where he has secretarial and treasury duties. He also has a job with On-Time Crew Changes, transporting crews to heliports and boat docks throughout the Gulf Coast from Florida to Texas. Campbell’s people skills make just about everyone he meets comfortable–he knows no stranger. He married Yvonne Toups in 1967 and they have three children: Jason (Charisse), Melissa (Chris Grimes), and Brian (Luci). The Campbells have eight grandchildren: Whitney Campbell, Camille Campbell, Joseph Grimes, Joshua Grimes, Treyson Campbell, Brayan Campbell, and step grandchildren Kelsey and Quinn Grimes.